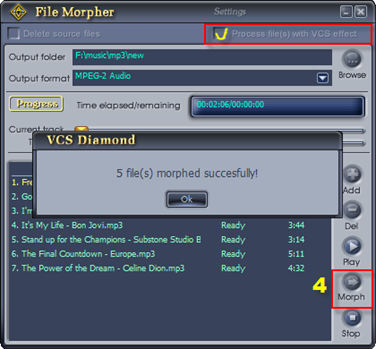 Batch File Morpher is an exclusive module of AV Voice Changer Software Diamond edition, which allows users to apply the same nickvoice and/or morphing effects to a group of audio files in one process. It can also convert the format of these selected audio files if required. With this new feature, users can morph and/or change the file format for multiple files in a short time with just a click. 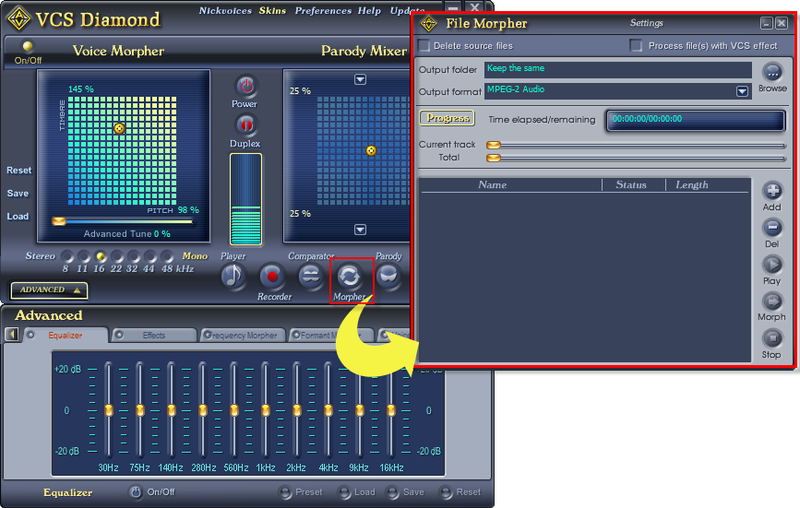 Remarks: This tutorial is only applicable for DIAMOND edition of the Voice Changer Software product line. 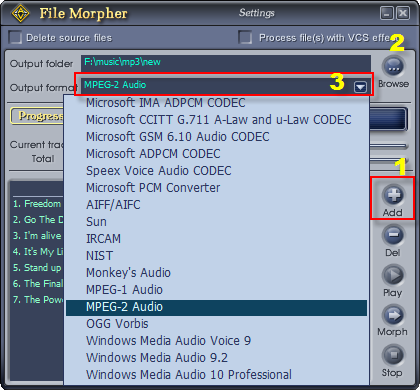 Open Voice Changer Software 7.0, choose morphing effects for your voice, and make adjustments until you are satisfied with the output voice. Note: You should have known how to change voice using Voice Morpher feature, and other voice changing features of Voice Changer Software. From the Main panel, click the Player button. 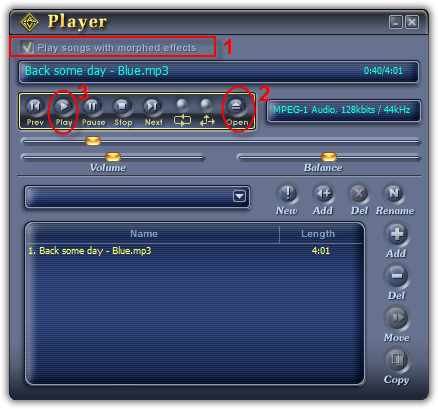 - In the Player dialog box, check Play songs with morphed effects (1). This let you hear the song with all morphing effects you have set up in VCS. - Click Open (2) button to open song then Click the Play(3) button to play song. Click here to know about play a lists of song . - Select the Output Folder by click Browse (2) and the Output File Format (3) . - Check the option Process file(s) with VCS effect . This will set VCS Mopher to moph file with VCS's morphing effects. - Then click Morph (4) button to start the morphing process.